The dome of the Taj Mahal is undoubtedly the architectural element that marks the most monument, it is he who characterizes it for sure, although a dome said "bulbous", as is the case here is also present on different other buildings in the area. 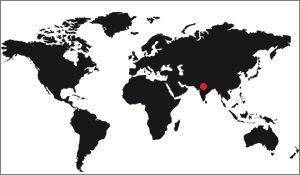 The domes appeared in Islamic architecture in 691. It was on this date that was estimated the construction of the Dome of the Rock, one of the oldest buildings of Jerusalem. It is a mausoleum whose roof is inspired by nearby churches. We can say that the domes of Islamic art are derived from Christian architecture. 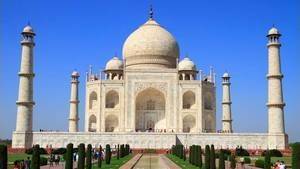 The dome of the Taj Mahal is of Persian style. It was the Persians who developed the technique of tulip, the architectural element that allows moving from walls in elevation on a square plane to the circular plane of a dome. The initial plan must be perfectly square. On the walls are mounted arches very high, shaped ogive, then mounted others that cross these first 4 arches. This interlace of 8 arches, if it is realized in a regular way, forms a perfect octagon of 8 ogive points, which forms the bases of the circle of the dome. 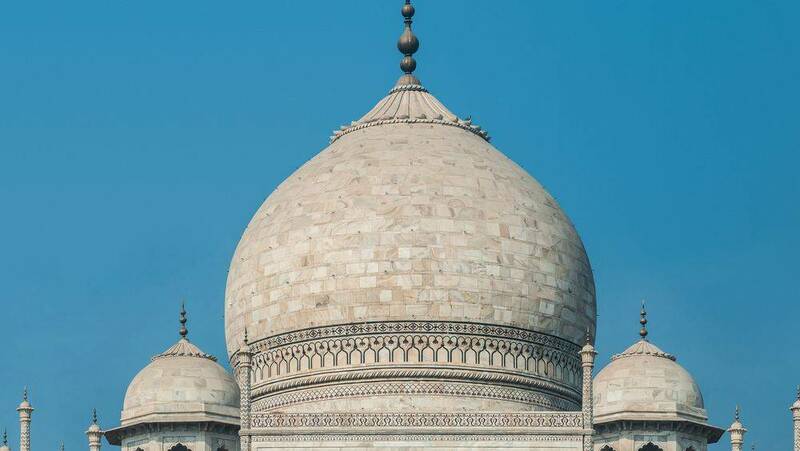 The dome of the Taj Mahal is twofold: There is an outside, we see gardens, it is he who gives his beautiful proportion to the mausoleum, and the other interior, we can see that by the ceiling from the main hall of the mausoleum. But between the two, there is a large empty space totally invisible. This double domed technique has already been used by Sir Christopher Wren in St. Paul's Cathedral in London. The interior dome had only one goal: To preserve the good proportions of the inner chamber. If it had not been built this room would have had a disproportionately high ceiling, which would have ruined the perspective of the room. And its fantastic acoustics too. The outer dome, it rests on a circle of 17m and 68cm and measures 35m high. It rests on a drum of 7m high. A drum is an architectural element which is, in practice, a very large and very low cylinder, arranged vertically, and which serves as a support between the building and the dome. A 7m high drum is already very big. If it is too big the building as a whole would look very long. The drum is a bit like the "neck" of the building. The interior dome is 24m and 70cm tall. This strong elevation is due to this drum, precisely. It is said that the dome weighs 12,000 tons, but it still seems a lot, knowing that the Eiffel Tower weighs "only" 8800 tons, for comparison. The shape of the dome is special, it is reminiscent of an onion, it is called a "bulb", or "bulbous dome". They are bulging at the base and most of the time they are higher than the diameter of their bases. This original form is typical of Persian architecture but it is not a single origin: Bulbous domes, we also find elsewhere on the planet: On the steeples of Russian Orthodox churches for example, or on some cathedrals from South America. It can not be said that the bulbous domes are of Persian origin, to the exclusion of any other origin. The main dome is built of marble-clad brick, like the rest of the monument. 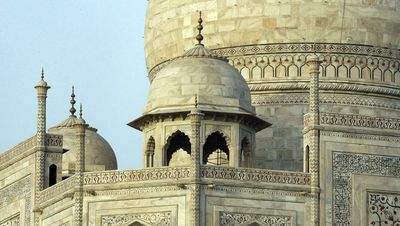 It is accompanied by four other smaller domes, all surmounted by a chhatris (small summit kiosks) on which are the same bronze spire as on the main dome, to maintain the architectural coherence. 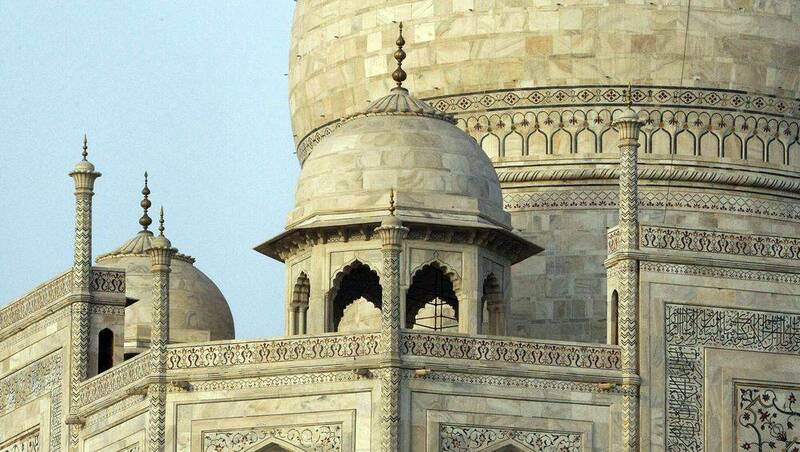 In terms of decoration, the dome of the Taj Mahal is characterized by two elements. The first is next to the drum, just above. It is a double border of ornamentation without any particular symbolism. It encases the bulb at its base, before the bulge curve reverses. The other ornamentation is more characteristic, it is an inverted lotus. It is at the top of the dome that receives the leaves of the plant, the root being the top arrow. The lotus is a symbol of the Hindu religion, it represents life, renewal, adaptation to the harsh conditions of human life. This symbol was chosen because this flower blooms when in the water and loses this ability as soon as it leaves. 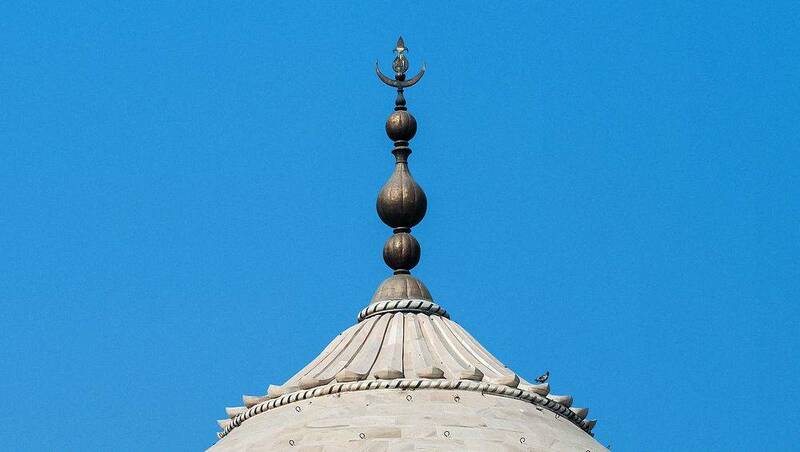 Finally, the top is made of a bronze stem containing a crescent moon pointing to the sky, a Muslim symbol this time. Initially this arrow was made of pure gold but it was destroyed during the British colonization, recovered like many other precious stones by the sovereign power. Internally the dome is also decorated. 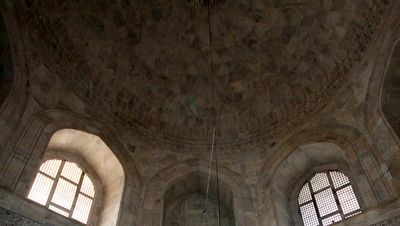 The main hall of the mausoleum is octagonal and decorated with ogival-shaped openings, much like in Western Gothic churches. The gaze is naturally attracted to the top. This is where the decorations of the interior dome come into play since they are made of grooves that seem to run along the curve to meet in the center of the room. In this place, a kind of sun-shaped geometrical figure has been set, from which a luxury of high quality set up during the British period has been fixed. 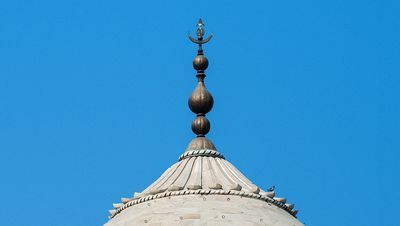 Symbolically, the dome of the Taj Mahal has the same function as that of the Sacred Heart, in Paris, for example: It is a question of materializing the elevation of the soul towards the heavens. Every religion having the belief of the rising of the soul to a higher God has a similar representation of this ascent: All that points to the sky, and even more so if it is a conical form and a good representation . Thus the church steeples, the mosque minarets have this symbolic notion. 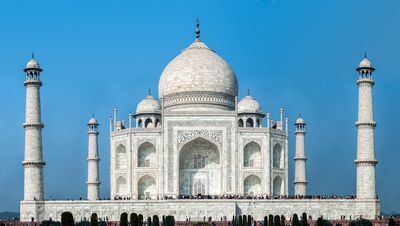 The Taj Mahal has several: The elevation of the soul of Mumtaz Mahal is ensured by the dome, but also by the 4 minarets that accompany it, and more generally by the Chameli Frash, it is the name given to the marble terrace on which the mausoleum stands. Indeed, when we look at the mausoleum of the gardens it seems high and pointing to the sky, we really feel that it rises in the air. This is all the symbolism that the workers of the Taj Mahal wanted. Learn more about the symbols of the Taj Mahal.